Filmmaker Sara Driver’s exploration of the pre-fame years of the artist Jean-Michel Basquiat, offers a window into his life and the City of New York, 1978-81, illustrating how the city, the times and the people around him informed the artist he became and shaped his vision. 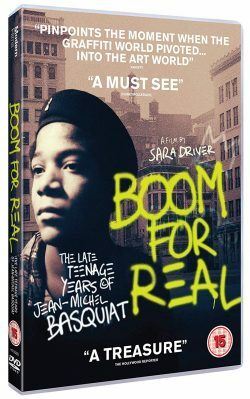 A fresh perspective on the movements that touched and inspired him, as well as the influence a bankrupt, violent city had on this seminal artist, the film shows how Basquiat has become, over the years, the ultimate representation of this period, fed by its politics, the rise of both hip-hop and punk rock, race issues and the art scene itself. In 1978, Jean-Michel was a teenager (18 years old), living on the street and sleeping on friends’ sofas in the East Village. He was shaped and formed by his friendships — those he influenced and those who influenced him. The crumbling City allowed them the freedom to discover and experiment with their work. The desolate streets of Manhattan’s lower east side in the early 1980s were permeated with abandoned buildings, drug lords and vagabonds – but the underground scene was bubbling with an…..